Sign posted off the B6341 west of Alnwick. Car Park next to the church in Edlingham. 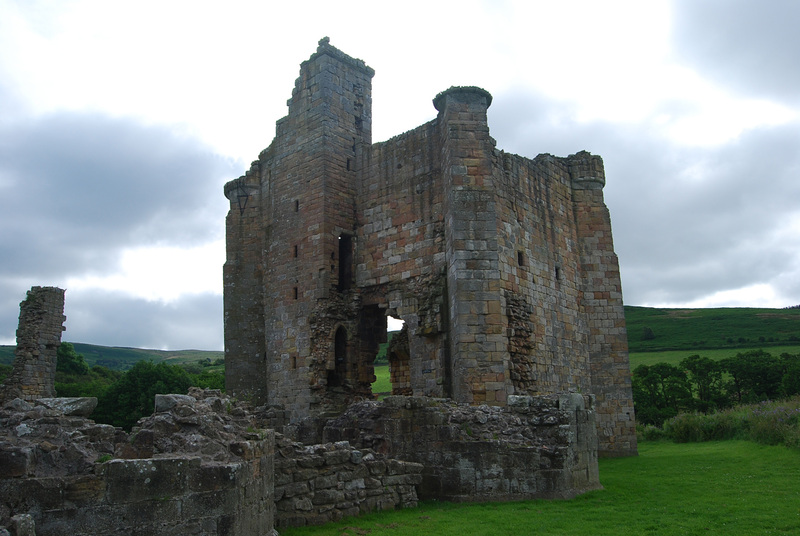 Edlingham Castle was built in the late 12th century when John de Edlingham constructed a large two story Hall House containing a hall, parlor, chambers, kitchen, bake house, brew house, and service rooms surrounded by moat, which was fed by nearby springs. 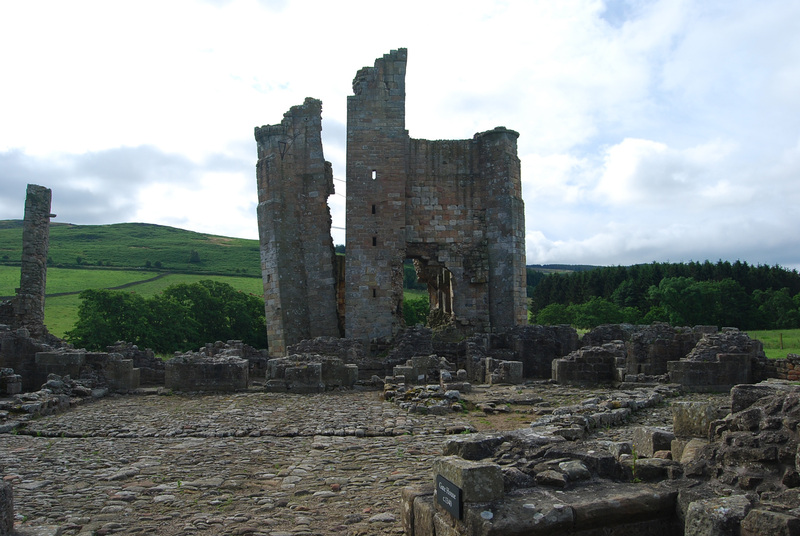 Given its location in England with close proximity to neighboring Scotland, architecture of the structure was greatly influenced by continual need to protect it from attack during centuries of ongoing conflict characterized by warfare, border raids, and instability. In 1294, ownership of the Edlingham Castle reverted to Sir William de Felton who fortified the Hall House by building a palisade wall inside the moat and gatehouse on the north side. 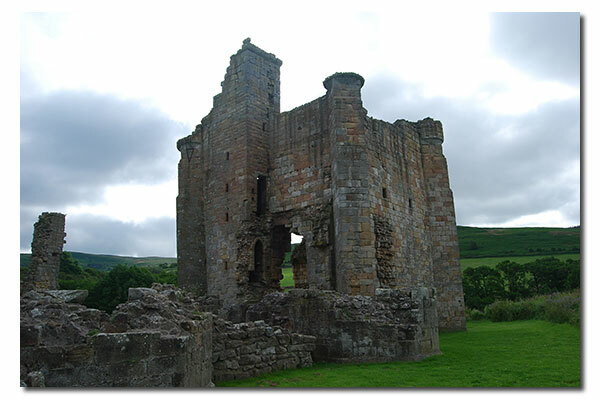 Approximately a century later in 1396, Elizabeth Felton inherited the castle. 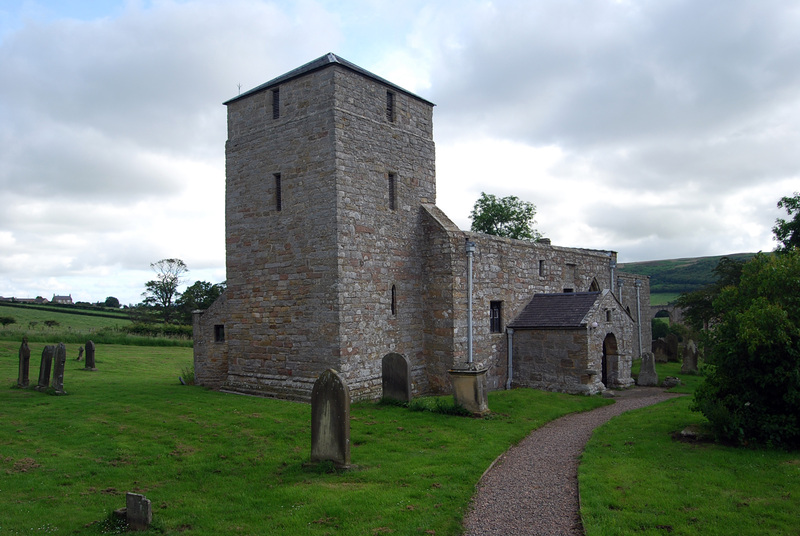 Her husband, Sir Edmund Hastings, embellished its defenses by erecting a solar tower south of the hall connected to the Hall House via fore building, which included an external door equipped with portcullis to regulate passage. Additional enhancements included construction of a gate tower and curtain wall. From this point of time onward, the Hall House was formally considered a castle. In 1514, George Swinburne, constable of Prudhoe, purchased Edlingham Castle from the Hastings family. Upon ownership by wealthy Swinburne family, purpose of the castle slowly changed from defense to comfort. Interestingly, ground floor rooms of the hall were converted to lodging for farm animals. Swinburne kin owned the castle until the 18th century at which time both solar tower and vaulting of the lower room began deteriorating. Further ruin and theft of stonework continued into the 20th century. In 1978, English Heritage began excavations of the castle, and a few years later in 1985, secured portions of masonry for safety purposes, as well as prevention of further structure collapse. Edlingham Castle is nestled within a valley located in Northumberland England, guarding a passageway through the hills towards Alnwick. Today, not much remains of the rampart walls, however, ample stonework of the solar tower exists to comprehend its extensive size. Furthermore, part of the solar tower was secured to the main tower to prevent it from falling. Entry to the castle is free and accessible via foot path after parking near the old medieval Church of Saint John the Baptist, which is also worthy of a visit. As a safety precaution, walk carefully since loose stone and uneven walkways constitute significant hazards. Moreover, would definitely discourage climbing of stone rubble in the tower. A thorough visit of both castle and church should only require about an hour. As Edlingham Castle is located close to Warkworth and Alnwick castles, highly recommend visiting one of them to complete the day.